Halloween was my favorite holiday when I was kid, and I loved it for far more than just the candy. I loved seeing the neighborhood come alive with spooky decorations, carving jack-o-lanterns, taking haunted hayrides through the cornfields, and above all, the chance to use my imagination to become someone or something else for one special night. I was particularly captivated by the sights, sounds, and decorations of haunted houses; ghosts in the windows, steaming cauldrons, optical illusions, and other ghoulish goodies absolutely astounded me. What I once believed to be magic, as it turns out, were actually feats of engineering; feats that you and your child can replicate. The Halloween season remains a time of wonder and heightened imagination for kids, especially as modern technology progresses and becomes more accessible. Haunted houses and hayrides have gone far beyond the days of spooky masks and “monsters” jumping out from behind bushes. Even your standard neighborhood decorations have been taken to the next level through the use of projection, trick lighting, animatronics, and motion detectors. It’s a holiday shrouded in surprise, mystique, and mystery, which makes it the perfect time of year to get your child’s mind racing. Why not capitalize on a great opportunity to spark their imagination even further through Halloween-themed STEAM projects? What follows are just a few of my favorite STEAM-themed Halloween decorations and experiments to ignite your child’s mind and engaging them hands-on to make the spookiest time of year extra special. This twist on the standard Jack-O-Lantern is a fun experiment light projection, and it’s incredibly simple to make. Carve your standard jack-o-lantern with a face on one side, then carve another shape into the other side. This opposite side could be a different face, a symbol, or a shape like a bat or a ghost. Place a light source inside – an LED light if you want some true projecting power or a candle if you want to go old school – and place the Jack-O-Lantern near a wall. When you look at the pumpkin, you’ll see the face from the front, and the symbol on the back reflected on the wall, making for a fun optical illusion and experiment in how light is distributed. There’s a reason that this is a Halloween classic. Who isn’t fascinated by a steaming cauldron? What magic could possibly be the source? Luckily for us, this concoction is more science than magic. All you need is a cauldron, some baking soda, vinegar, food coloring, and spooky solid additions like plastic spiders and eyeballs! To make a STEAM-ing Cauldron, fill the cauldron with decorative eyeballs, then add the baking soda to your cauldron with a splash of food coloring. Top it all off with the vinegar and watch the witch’s brew boil over! We recommend doing this outside because, as you can guess, it gets very messy very quickly. This is a great opportunity to introduce your kid to the idea of chemical reactions at a basic level. How about making your own ghost? And I’m not talking about a sheet with holes for eyes! Pepper’s Ghost is a classic optical illusion that’s been used in film, theatre, and famously utilized in theme park rides like Disney’s Haunted Mansion. The illusion works by reflecting the image of a ghost off of a sheet of plexiglass, making it appear transparent like a true apparition. Cut four identical rhombus shapes out of your CD cases. The shapes should be wide at the top and narrow at the base. Use this template as a starting point, and know that you can make it bigger if you want! 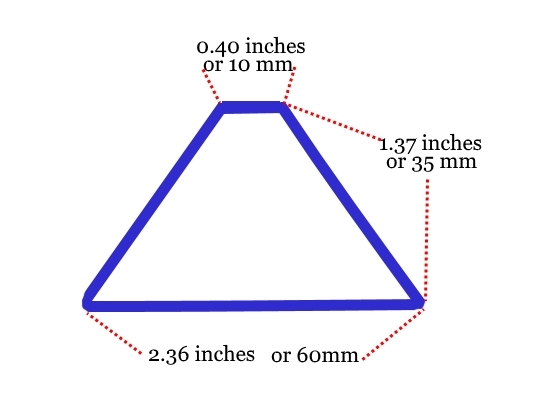 Just be sure to scale the dimensions appropriately to suit you. Glue or tape the plastic pieces together to form a pyramid. Turn off the lights to get the full effect of the illusion. Load up a “Pepper’s ghost” video on your cell phone. Try these spooky skulls to get started. Place the narrow side of your plastic pyramid down on your phone and play the video. Be amazed – you just created your own ghostly hologram! Check out this video for a more in-depth look at how to make this illusion happen. Pepper’s Ghost is definitely a level-up in terms of time investment, but it’s safe to say that your kids will be amazed…and let’s face it, you’ll be captivated too! Of course, these are just a few of the many Halloween-themed STEAM projects out there. We didn’t even mention classics like bags of grapes and spaghetti, AKA eyeballs and brains. What were your favorite experiments as a kid? And what projects will you tackle this year to inspire your child? Let us know on The Hopper’s social media outlets and we’ll share our favorite picks! Ben is a Content Specialist for Kion, where he creates educational materials for people looking to have an adventurous, fulfilling, joyful, and limitless life. When he’s not writing, you can find him on the jiu-jitsu mats or traveling the world.